Those who believe that corporate executives are virtuous, government regulators are overreaching, and that we live in a meritocracy have been cringing every time they listened to a newscast in recent days. That’s because two major stories have been shattering myths about the way things work in the U.S. business world and the broader society. 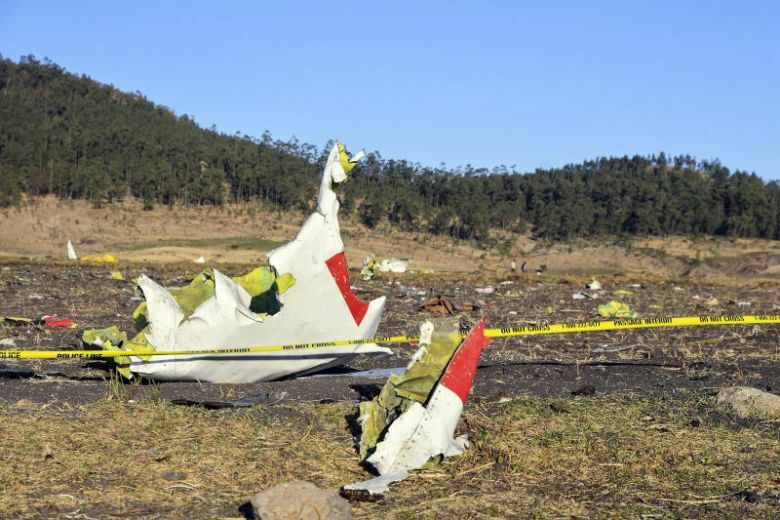 The controversy over whether Boeing’s 737 Max aircraft should be grounded in the wake of a deadly crash in Ethiopia revealed the true nature of business regulation in the United States. Contrary to the image, depicted ad nauseum by corporate apologists, of bureaucrats crippling companies with unnecessary and arbitrary rules, we saw in the Federal Aviation Administration an agency that is essentially held captive by airlines and aircraft manufacturers. It was only after the rest of the world ignored assurances from Boeing and took the common-sense step of grounding the planes that the FAA finally acted. The agency, its parent Department of Transportation and the Trump Administration had to be shamed into fulfilling their responsibility of protecting the public. It remains to be seen whether the Trump Administration will temper its anti-regulatory rhetoric after this incident in which it was clear that the country needed more rather than less oversight. Unfortunately, the problem goes beyond rhetoric. Since taking office, Trump has made it a crusade to dismantle much of the deregulatory system. Left to his own devices, Trump would continue on this path. His new budget proposes massive cuts in the budgets of regulatory agencies, including 31 percent at the EPA. That budget was dead on arrival in the Democratic-controlled House, but the administration is undermining agencies by rolling back enforcement activity. Public Citizen has been documenting this ploy in a series of reports drawing on data from Violation Tracker. Its latest study shows a 37 percent drop in enforcement actions by the Consumer Financial Protection Bureau, the Federal Trade Commission and the Consumer Product Safety Commission during Trump’s first two years, compared to the final two years of the Obama era. The other big myth-busting story is the admissions scandal at elite universities. The revelation that wealthy parents have been paying large sums to a fixer who bribed coaches and used other fraudulent means to get their kids into the Ivy League should cause all critics of affirmative action to hang their heads in shame. Defenders of the fund will attempt to separate its mission from McGlashan’s personal issues. Yet the scandal helps puncture the image of moral superiority projected by those who claim they can do good and get richer at the same time. It gives more ammunition to those who suspect that ethical investing may be little more than a way to ease the conscience of the wealthy with more than their share of misdeeds. Undoubtedly, protectors of the conventional wisdom are seeking ways to restore support for the notions that regulation is bad and that the rich are good people who earned everything they have. Yet for now, let’s enjoy these moments of clarity. Large corporations are generally not bashful about throwing their weight around, but Boeing is in a class by itself. While other companies may at various times make demands on their workers or on the communities in which they operate, the aerospace giant is willing to exert both forms of pressure at the same time and in a big way. In recent days it has been doing exactly that in Washington State, though not everything has gone according to its plan. Boeing let it be known that it would build its new 777X airliner and its carbon fiber wing in the Puget Sound area, its traditional manufacturing home, only if it got major concessions from the taxpayers of the state and from its unionized workers. The first consisted of a 16-year extension of a lucrative aerospace industry corporate tax break estimated to be worth $8.7 billion to Boeing (mostly) and its suppliers. This is the largest state subsidy package in U.S. history. Gov. Jay Inslee hurriedly called a special session of the state legislature to ratify the deal. Although some legislators grumbled, they voted overwhelmingly to give Boeing what it wanted. This was a replay of what happened a decade ago, when Boeing got Inslee’s predecessor Gary Locke to push through the original aerospace industry giveaway at a price tag of $3.2 billion. Those lawmakers apparently thought that Boeing, having gotten what it wanted, would stay put. Yet Boeing’s concerns did not end at tax avoidance. The company has long sought to neutralize the power of its unionized employees, who in the Puget Sound area have been a lot less willing than the state legislature to give in to all of Boeing’s demands. In 2009 the company took the brazenly anti-union step of announcing that it would locate a new assembly line for its Dreamliner in South Carolina, where it would in all likelihood be able to use non-union labor. In addition to a more pliant workforce, Boeing took advantage of a state and local subsidy package estimated to be worth more than $900 million. This year it was awarded another $120 million for an expansion of the facility. Getting massive subsidies has been so easy for Boeing that in Kansas it walked away from a $200 million deal and sold off its Wichita operations. Citizens for Tax Justice just pointed out that over the past decade Boeing has paid aggregate state corporate income taxes of less than zero (it got net rebates of $96 million). Boeing apparently assumed that the threat of more runaway production would enable it to steamroll its Puget Sound unionized employees, the largest portion of whom are members of the Machinists union (IAM). Along with the tax deal, the company made its siting decision on the 777X contingent on the willingness of IAM members to give up some of the most important gains they have made through decades of difficult collective bargaining. Those proposed concessions included a freezing of the contract’s traditional defined-benefit pension plan and its replacement with a defined-contribution, 401(k)-type plan as well as substantial increases in deductibles, co-pays and other employee health insurance costs. In an attempt to make those givebacks more palatable, Boeing offered a one-time $10,000 signing bonus. Boeing seriously misjudged the mood of the rank and file. Rather than succumbing to the company’s pressure tactics, IAM members just voted overwhelmingly to reject the contract concessions. Press reports suggested that union members were most angered by the way in which the company tried to impose its will. The next step is unclear. Boeing says that it will now hold a competition for the 777X work, and there are no doubt numerous states and localities that will make extravagant subsidy offers. Yet it turns out that shifting production to a new workforce is not as easy as the company implies. Boeing’s operations in South Carolina have reportedly not met output projections. Boeing may very well come back to IAM members with less draconian contract terms that workers may decide to accept. But for now the vote stands as a strong rebuke to corporate imperiousness. New in Corporate Rap Sheets: critical profiles of two more giants of mismanaged care—WellPoint and Humana. The United States has by far the fattest military budget in the world, but soon the biggest company providing much of that weaponry could be European. Britain’s BAE Systems and Airbus parent EADS have announced plans to join forces, creating the world’s largest aerospace and military contracting corporation. Business analysts are focusing on the challenge such a merger would pose to the companies’ U.S. rivals Boeing and Lockheed Martin, while little mention is being made of the fact that the deal would bring together two of the most ethically challenged large corporations in the world today. For most of the past decade, BAE has been confronted with allegations that the company engaged in widespread bribery in its dealings with foreign governments. The charges began to receive significant attention in June 2003, when The Guardian reported that the U.S. government had privately accused BAE of offering bribes to officials in the Czech Republic. The Guardian went on to report that BAE was facing bribery allegations in three additional countries: India, South Africa and Qatar. Among the charges was that BAE had paid millions of pounds in secret commissions to obtain a huge deal, backed by the British government, to sell Hawk jets to South Africa. There were subsequent allegations that the company had formed a £20 million slush fund (later said to be £60 million) for paying bribes to officials in Saudi Arabia in the 1980s. Despite denials by the company, Britain’s Serious Fraud Office (SFO) launched a criminal investigation of the bribery charges, focusing on the allegations regarding Saudi Arabia. BAE and the Saudi embassy reportedly lobbied intensively to have the probe terminated, and in December 2006 their effort paid off. The British government called a halt to the case because of national security concerns. (In April 2008 Britain’s High Court ruled that the termination of the investigation was unlawful, but in July 2008 the House of Lords overruled the court.) The SFO did, however, continue to investigate BAE’s questionable behavior in six other countries. The company was also being investigated by Swiss officials for possible money laundering violations. Unable to escape these allegations, BAE announced in June 2007 that it would commission its own purportedly independent examination of the issues led by Lord Woolf, former lord chief justice of England and Wales. The Woolf Committee’s 150-page report, released in May 2008, stated that BAE’s top executives “acknowledged that the Company did not in the past pay sufficient attention to ethical standards and avoid activities that had the potential to give rise to reputational damage.” However, the report seems to have bowed to the wishes of the company that the focus be placed on the future rather than the past. The report provided what it called “a route map for the Company to establish a global reputation for ethical business conduct.” Among its 23 recommendations is that BAE “continue to forbid facilitation payments as a matter of global policy.” Given the less than draconian nature of the recommendations, it is no surprise that BAE agreed to adopt all of them. A new front in BAE’s problems with questionable payments opened in late July 2008, when the Financial Times reported that it had seen documents suggesting that the company had paid at least £20 million to a company linked to a Zimbabwean arms trade close to controversial President Robert Mugabe. In February 2010 BAE reached settlements with the U.S. Justice Department and the U.K. Serious Fraud Office concerning the longstanding bribery charges. The company agreed to pay $400 million in the U.S. and the equivalent of about $47 million in Britain to resolve the cases. Confidential U.S. government cables given leaked to the press by Wikileaks in 2011 indicated that BAE had paid more than £70 million in bribes to Saudi officials to support its help win a contract for fighter jets. EADS has been embroiled in its own corruption controversies. In mid-2006 a scandal emerged regarding EADS co-chief executive Noel Forgeard. French and German market regulators announced that they were looking into the timing of substantial sales of EADS stock by Forgeard and members of his family that occurred just before the company announced delays in the production of the Airbus A380 superjumbo jet. Forgeard initially claiming the timing was coincidental, but within a few weeks he was forced to resign, as was the head of Airbus, Gustav Humbert. That did not put an end to the insider trading investigation. In December 2006 French police searched the Paris headquarters of EADS and that of its main French shareholder, the Lagardère conglomerate. In April 2008 a formal complaint was filed against EADS as well as more than a dozen current and former executives. The following month preliminary charges were brought against Forgeard and then against former deputy chief executive Jean-Paul Gut. In December 2009, however, French authorities concluded there was insufficient evidence against the executives. Prior to the insider trading affair, EADS and/or Airbus had been named in numerous scandals around the world involving alleged bribery. A 2003 article in The Economist described a pattern of foreign bribes paid by Airbus throughout its history, noting that the French government tolerated such payments until 2000. One of the most significant controversies occurred in Canada, where former Prime Minister Brian Mulroney was investigated over charges that he took bribes from German businessman Karlheinz Schreiber to induce Air Canada (then government controlled) to purchase $1.2 billion worth of Airbus planes in 1988. Mulroney denied the allegation vehemently and sued his own government, winning an apology and a cash settlement. The allegations were kept alive when Schreiber brought a civil suit against Mulroney, but Schreiber ended up making contradictory statements about the matter. In December 2007 the government of India cancelled a $600 million order for military helicopters from Eurocopter after allegations that there had been corruption in the bidding process. Just last month, it was reported that Britain’s SFO has launched a criminal probe of claims that a unit of EADS bribed officials in Saudi Arabia to win a $3 billion communications contract. The company asked PricewaterhouseCoopers to conduct a parallel investigation. Given the records of these two corporations, the regulators who will be deciding whether to approve the merger should also consider what conditions could be imposed on the combined company to get it to put an end to its legacy of corruption. Now that Osama bin Laden has been eliminated, the greatest threat to the American Way of Life, a growing chorus of right-wingers seems to believe, is a federal agency that has been around since 1935. That agency is the National Labor Relations Board, and its atrocity is to have challenged the absolute right of a corporation to invest its money where it sees fit. The corporation in question is Boeing, which was recently accused by the NLRB of having violated federal labor law by locating a new production line for its Dreamliner aircraft in union-unfriendly South Carolina rather than Washington State, the company’s traditional manufacturing base. The Board’s acting general counsel, responding favorably to an unfair labor practice allegation filed by the International Association of Machinists, charged that Boeing’s siting decision was a retaliatory action against the union. If the Board complaint prevails, “no company will be safe from the NLRB stepping in to second-guess its business decisions on where to expand or whom to hire,” thundered an official from the National Association of Manufacturers. Equally hysterical statements are being made by conservative public officials and commentators, who worry that the case could imperil job growth in “right-to-work” states. Some Republican Senators are touting a Right to Work Protection Act. Boeing, meanwhile, continues to insist that its embrace of the Palmetto State was not driven by union-avoidance. Its CEO Jim McNerney just published an op-ed in the Wall Street Journal headlined BOEING IS PRO-GROWTH, NOT ANTI-UNION. While it is refreshing to see a major U.S. corporation disavow anti-union animus, McNerney’s statements are disingenuous. This begins with some simple facts. McNerney asserts that the portion of Boeing’s U.S. workforce represented by unions is “about 40%…a ratio unchanged since 2003.” I hope McNerney is not involving in making any sensitive calculations about the company’s aircraft, because he seems to be challenged when it comes to numerical accuracy. According to Boeing’s 10-K annual filing with the SEC for last year, 34 percent of its total workforce of 160,500 was represented through major U.S. collective bargaining agreements with the Machinists, SPEEA and the UAW. Other unions represent much of Boeing’s limited foreign workforce (in Canada and Australia), so there is no way the U.S. union percentage can be 40 percent, unless McNerney thinks you can round up from 34. At the end of 2000, about 48 percent of Boeing’s U.S. workforce was represented by unions. The figure then began to slide—as a result of layoffs, outsourcing and union decertifications that must have been encouraged at least implicitly by management. The number of union-protected Boeing workers in the United States at the end of last year was more than 38,000 lower than a decade earlier. McNerney’s description of how Boeing ended up in South Carolina is also highly misleading. He claims the decision resulted from an objective assessment of various factors in several states. The fact is that Boeing set the stage for the move over a long period of time. South Carolina was one of the states considered in 2003 for the first Dreamliner production facility before the company bullied the Washington State legislature into enacting a $3 billion package of corporate tax breaks as the price for staying put. South Carolina’s consolation prize was that in 2004 Vought Aircraft, a key supplier of the fuselage and other components of the Dreamliner, agreed to build a $560 million manufacturing complex at Charleston International Airport. In 2005 a Boeing executive told a public meeting in Charleston that the Vought operation could receive more Dreamliner work in the future (Post and Courier, 7/19/05). Despite the open anti-union stance of Vought management, the company’s South Carolina workers voted in 2007 to be represented to the Machinists. Starting in 2008, Boeing bought out Vought’s interests in the Charleston operations. In September 2009 the Machinists union was decertified amid persistent rumors that Boeing would choose Charleston as the location for the second Dreamliner assembly line. In October 2009 Boeing made it official, announcing it would spend at least $750 million on the new production line. The comments prompted the Machinists to file suit demanding that Haley and Templeton remain neutral in union matters. Haley, instead, has been a leader of the pack attacking the NLRB. Despite all the righteous indignation being expressed by that pack, there is nothing remarkable or unprecedented about the Board’s complaint, as the Acting General Counsel has taken pains to point out. What is remarkable is that so many public figures have forgotten that the National Labor Relations Act, which affirms the right of workers to act collectively to protect their interests in the workplace, is official U.S. policy on labor relations, not the “right to work” laws enacted in 22 states to weaken those activities. Critics of the NLRB complaint incorrectly claim it will lead to the collapse of “right to work.” If only that were true. It will take a lot more—including a huge boost in labor activism—to restore the full rights of workers throughout the country. For many years Boeing has complained that its European rival Airbus unfairly benefited from government subsidies as it grew to become the world’s top jet builder. The U.S. company felt vindicated when the World Trade Organization ruled last June that Airbus had indeed received improper below-market-rate loans from European governments. But now Boeing has been hoisted by its own petard. Responding to a counter-complaint filed by the European Union, the WTO has just concluded that Boeing received its own illegitimate government help – both from research contracts awarded by federal agencies and from states that put together large incentive packages to lure production facilities for Boeing’s next-generation 787 Dreamliner. The value of the questionable payments was said to be in excess of $20 billion. The ruling itself was not made public, but the descriptions of it that have emerged in the press undermine Boeing’s long-standing contention that its government assistance, unlike that received by Airbus, is legitimate. The company has strained to argue that the deals offered by the states are incentives and that incentives are not the same thing as subsidies. The WTO now seems to be saying that this is one of those distinctions without a difference. Since the text of the WTO decision is not available, I thought it would be helpful to recount what kinds of assistance Boeing has received from various states. The deals were well covered but it is easy to forget how willing the company has been to make use of public giveaways. WASHINGTON STATE. Boeing’s association with Washington State dated back to the company’s founding in 1916, but when it was making plans in the early 2000s for the Dreamliner, it forced the state to compete with around 19 others to be chosen as the location for a $500 million plant and up to 1,200 jobs. Eager to preserve his state’s status as a center of aerospace production, Gov. Gary Locke proposed huge tax breaks for the company and pressured the legislature to approve them virtually overnight in a special session. Locke got his way, and Boeing ended up with a package of research & development tax credits and cuts in Business & Occupation taxes (the state’s substitute for a corporate income tax), sales taxes and property taxes that together were estimated to be worth $3.2 billion over 20 years. Boeing agreed to locate the Dreamliner operation in Washington after the state also agreed to overhaul the unemployment insurance system to reduce costs for employers and tighten up on workers compensation claims. KANSAS. Hoping to persuade Boeing to perform a portion of the work on its Dreamliner at its 12,000-person operation in Wichita, the Kansas legislature in 2003 approved a plan to make available $500 million in bond financing to the company. The proceeds from the state bond issue were to be turned over to Boeing, which would be allowed to pay off the interest by diverting the state payroll taxes collected from its workers assigned to tasks relating to the new jetliner. The projected cost to the state in lost revenue over the 20-year bond payoff period was estimated at $200 million. In 2005, before it could make use of the bond financing, Boeing sold its commercial operations in Wichita to a Canadian private equity firm, which was allowed to make use of the funding at a reduced level. SOUTH CAROLINA. The Palmetto State was one of the losers in the 2003 competition set up by Boeing to decide where to locate its initial production facilities for the Dreamliner. But the state kept wooing the airplane manufacturer as well as some of its major suppliers. In 2004 it gave a subsidy deal worth more than $100 million to one of those suppliers, Vought Aircraft Industries. In 2009 Boeing received a subsidy package initially valued at $450 million – later pegged at $900 million – to locate its second Dreamliner production line in South Carolina, where it clearly hopes to keep its workforce non-union. ILLINOIS. Boeing played the same subsidy game in 2001 when it decided to move its headquarters from Seattle to another part of the country. It set up a competition among three cities that was won by Chicago after state and local officials put together a package of tax credits, property tax abatements and other incentives worth a total of about $56 million. What this history shows is that Boeing not only mimicked Airbus in making use of anti-competitive subsidies, but that it did so by coercing state and local governments. For Boeing, at least, the main problem is not that it violated the WTO’s abstract notions of fair competition but that it exploited the hunger for decent jobs to extract massive sums from the pockets of American taxpayers.